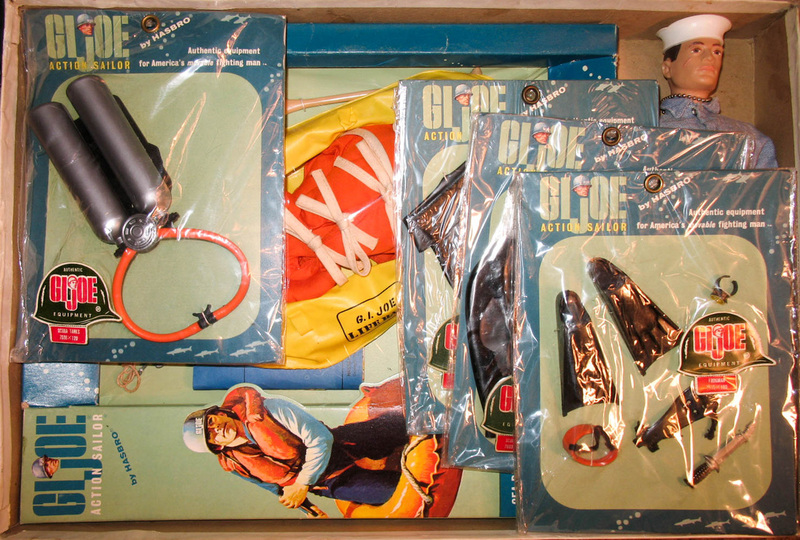 This hard to find Navy Scuba Series Adventure Pack (7643.83) box came from the same estate as the Mountain Troops Talking Adventure pack seen elsewhere on the site. It has undergone thorough restoration courtesy of Anthony Restoration. See the special page devoted to that process. 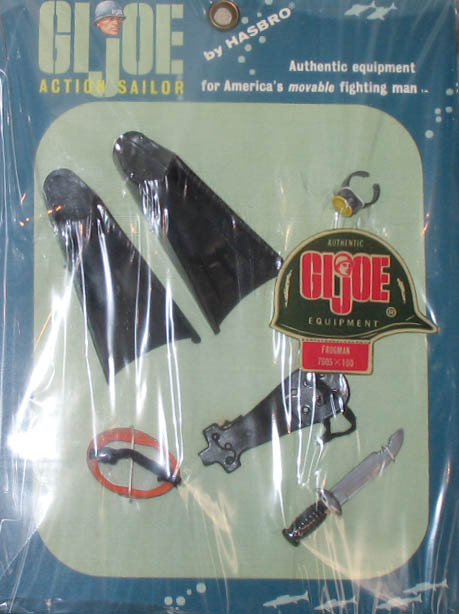 The set included a standard Action Sailor, along with a set of four scuba cards and a second issue Sea Rescue window box. 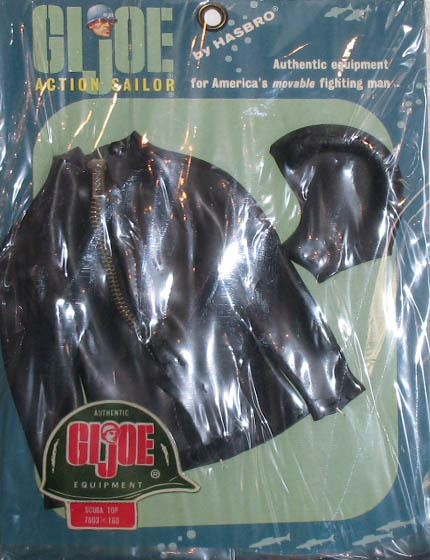 The set was released in 1967 and 68 and was a way of bundling overstock for quicker sale.